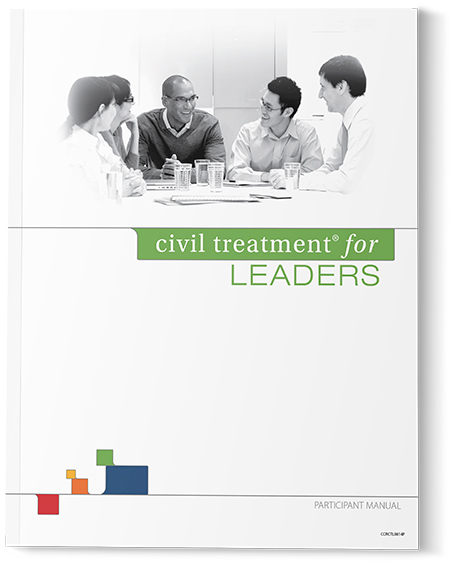 Civil Treatment for Leaders (CTL) provides your leaders with the skills and insights they need to achieve positive business results and engage employees in ways that inspire their best work. 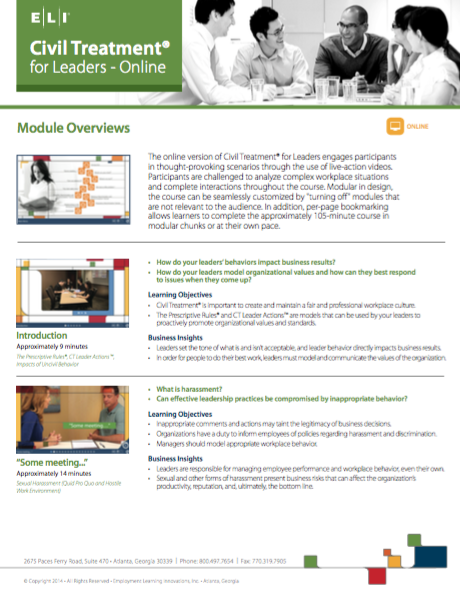 Rather than focusing on the law exclusively, CTL focuses on a wide range of behaviors to offer a comprehensive learning solution based on realistic business simulations to spark new insights for your leaders in how “doing what we’ve always done” is affecting results in ways they may not have considered. 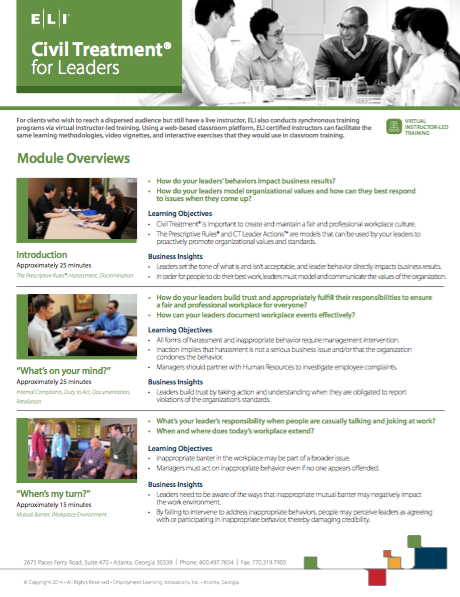 With simple and sustainable learning models and tools, your leaders will develop skills proven to positively impact your workplace culture and business results. Civil Treatment for Leaders (CTL) leverages proven adult learning methodologies to provide a dynamic, diverse and experiential learning. Are you interested in a solution that provides insight for leaders at every stage of their careers and at every level of the organization? Civil Treatment for Leaders addresses your organization’s most compelling and urgent priorities for creating and maintaining a civil, productive, and inclusive work environment including: welcoming concerns, coaching and managing performance, addressing inappropriate behavior, making employment decisions, and modeling the behaviors that ensure an inclusive work environment. Civil Treatment for Leaders simulates some of the most important conversations your leaders will have with their people. 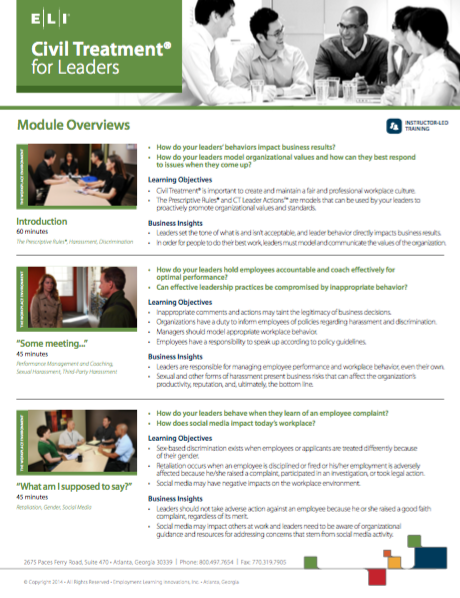 How do your leaders’ behaviors directly impact business results? How do your leaders model organizational values and how can they best respond to issues when they come up? 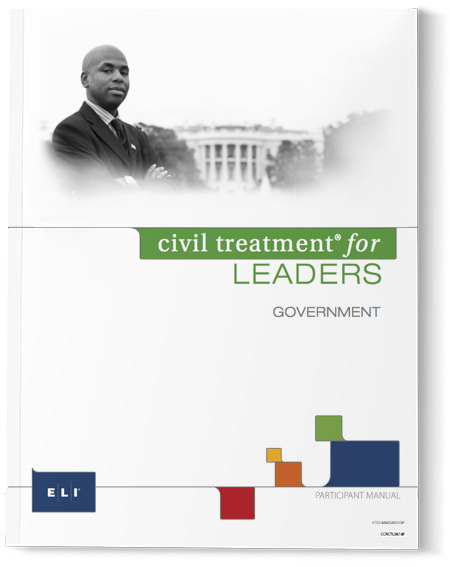 Civil Treatment for Leaders is available via instructor-led, virtual instructor-led or online delivery. It can be taught by one of ELI’s professional instructors or your own ELI certified instructors. 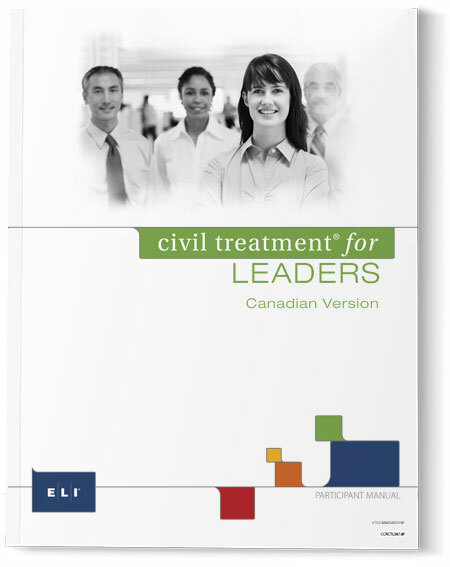 NOTE: The instructor-led version of Civil Treatment for Leaders can also be adapted to meet the legal requirements in California, Connecticut and Maine. ELI offers an HRCI accredited train-the-trainer certification program.